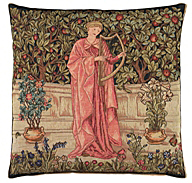 Tapestry weaving experienced a revival in England with new designs by Morris & Co., inspired by medieval designs. 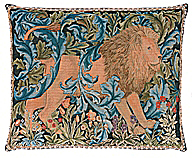 Morris was keen to revive the medieval technique of high warp tapestry weaving, he considered tapestry to be the noblest of the arts of weaving and felt it demanded a high level of design. 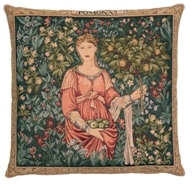 Vine and Acanthus was the first tapestry William Morris designed and wove in his own home. 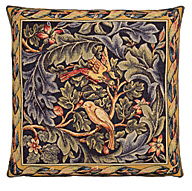 William Morris, Henry Dearle and Phillip Webb designs feature swirling acanthus leaves which are the hallmarks of this beautiful style. 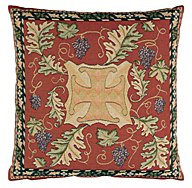 Many tapestries share a common palette of colours which allow for a coherent design style with different pieces. 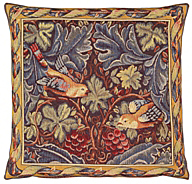 During the last years of his life Morris was engaged in the production of the Holy Grail tapestries at Merton Abbey. 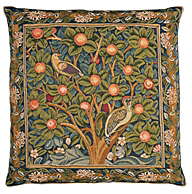 Morris's tapestry workshop at Merton Abbey continued to weave for clients around the world for many years after his death. Also available as fabric by the metre, purses, caskets, fire screens & waste bins. Price on request. 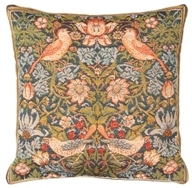 An iconic William Morris design cushion. Also available in other accessories. Contact us for further information. 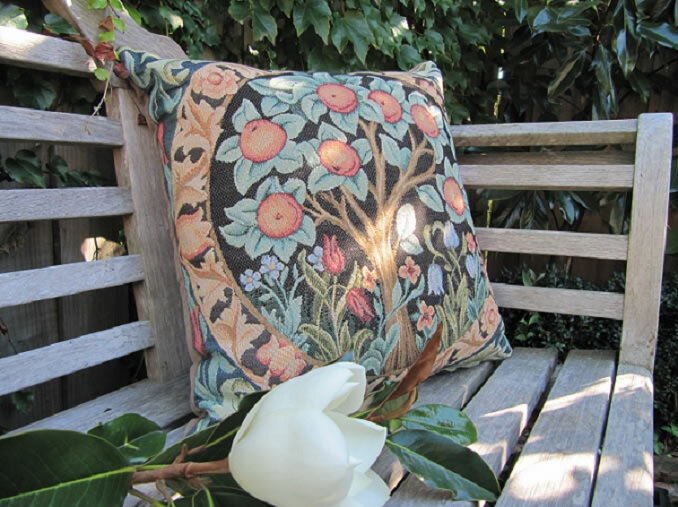 Two new Forest cushion designs available. Contact us for information. 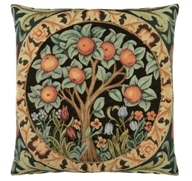 This beautiful design is also available as fabric by the metre, purses, caskets, fire screens & other accessories. Price on request.